Watch All Rifles Home Games Live! The Winnipeg Rifles Football Club will be holding their Spring camp April 24 - May 4 at the Dakota Collegiate Field followed by an exhibition game on Sunday, May 5 against Augsburg University. Spring camp is for returning Rifles players as well as players who attended the Rookie Camp in April. Full equipment (including all lower pads and practice pants) is required for this camp. No shorts allowed. Players that were not a Rifle in 2018 are to bring their own equipment from their High School or their Midget/Major Program. Equipment pickup for returning Rifles players will be posted shortly. Cost of the camp is $100 and must be paid online. To register for this camp click here. In order to be on the field, you will also be required to complete the 2019 Football Manitoba Player Registration prior to April 10, 2019. This fee is an $40.20 ($39 + 1.20 GST), and will be carried through for the entire 2019 season whether you play football for Rifles, Major, Midget, High School, Flag leagues or just coach. To complete this registration click here. If you registered for the Rookie Camp, you will not have to pay this fee again. You will receive a Discount code to enter on the payment page in order to waive the fees. If you have not received this code, please reach out to our General Manager, Laurie Hoel. On Saturday, February 16th, Luke McMillan, Thomas Moline, Riley Naujoks, Troy Wilson and Brandon Urciuoli participated in the Wild Winter Canoe race at Shaw Park in support of DASCH and St. Amant. These fine young Rifles raised over $1,000 in support of people with intellectual disabilities in Manitoba. On their first heat they had a difficult time navigating the turn, but still managed to win their heat. On their second heat they improved their time by over 5 seconds and won their second heat as well, but came up just short of the finals by 1 tenth of a second. A great job by these young men in their races, but more importantly a great job raising over $1,000 dollars for their fellow Manitobans. Our organization is very proud of them! Rifle up! Billeting a Winnipeg Rifle player involves providing accommodation as well as the “family” atmosphere in terms of meals etc. As Winnipeg Rifles players range in age from 17-22 the “family” atmosphere is one that is generally expected a young man of that age would receive at their own home. Billeting can be a rewarding experience for both the player and billet family. Billeting is often the preferred method for our 1st or 2nd year players in the age 17-18 year old range as they transition to living on their own. Our 17-18 year player’s parents often prefer billeting for their son. Billets are paid a monthly agreed upon amount from the player or player’s family. Follow your Winnipeg Rifles on Facebook, Twitter and Instagram for the latest in Rifles news, photos, breaking news, and player information! We will be keeping it updated throughout the off-season, and getting ready for next year! Interested in playing Rifles Football? Click the image! 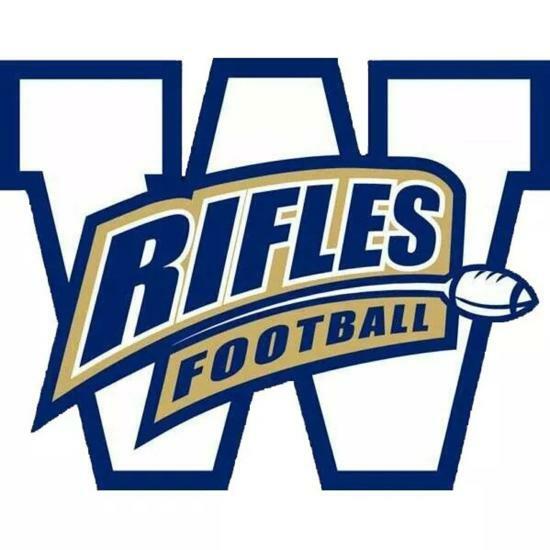 ©2019 Winnipeg Rifles / SportsEngine. All Rights Reserved.